Effective mechanical weed control typically requires several machines. These need to be appropriate for the type of crop, timing of crop development, tillage practices, and type of weed problem. That is, various mechanical weed management practices need to be integrated into a program that in turn is integrated with other ecological management methods. A mechanical weed management program commonly used by organic maize and soybean growers in the midwestern USA consists of two to three rotary hoeings followed by two cultivations with sweeps or shovels. It is well adapted to both ridge tilled and flat tilled fields (Thompson & Thompson, 1984; Gunsolus, 1990; Mulder & Doll, 1993). 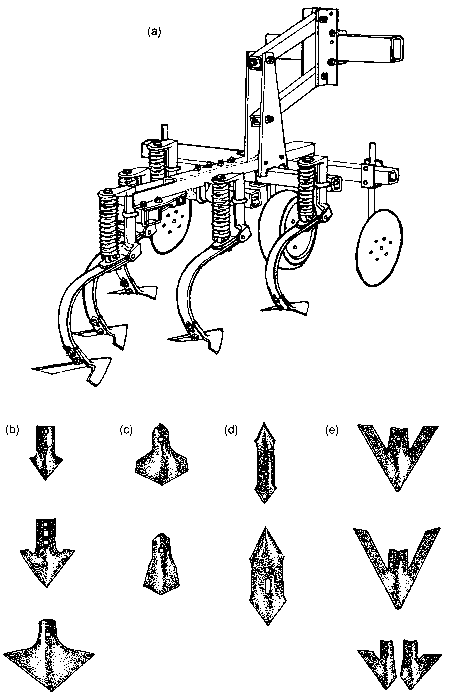 In this system the rotary hoe reduces weed density and delays establishment of the weeds relative to the crop. At the first inter-row cultivation, the crop is usually protected from burial by shields. 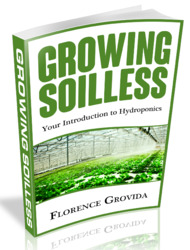 As the crop develops, large amounts of soil are thrown around the plant bases to bury weeds. The machines used are simple, robust, and pulled at high speeds, allowing rapid cultivation of large fields. Although the weed control is not as complete as that achieved by more sophisticated devices, this poses few problems in highly competitive crops. Mechanical weed control programs without herbicides in high-value vegetable crops vary greatly in detail, but many share common elements (Grubinger & Else, 1996; Bowman, 1997, pp. 67-86). A false or stale seedbed procedure is often used to reduce initial weed density. Harrowing of large-seeded crops or flaming of small-seeded crops then further reduces weed density prior to crop emergence. After the crop is up, the emphasis is often on frequent cultivation close to the crop row using a basket weeder, brush weeder, or vegetable knives. Inter-rows may be cultivated with shovels after the crop is large. The value of the crop usually makes hand roguing of weeds in the crop row economically viable. Consequently, few weeds set seed, and this facilitates weed management and minimizes the cost of hand-weeding in subsequent years. Each grower needs to find the right mix of implements to meet the particular situations presented by the soils, climate, and crops grown on the farm. Multiple implements usually are required to meet the diversity of regularly encountered weeding tasks; additional machines may be useful in unusual circumstances.